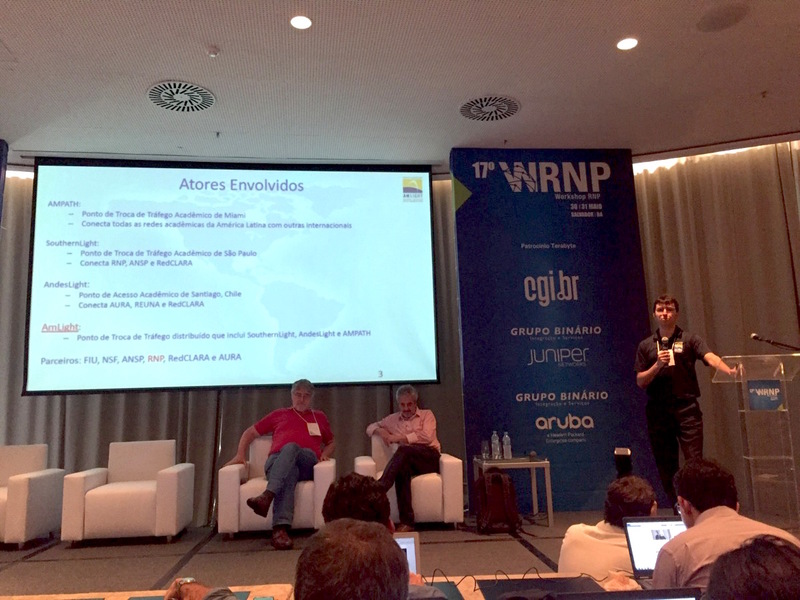 AmLight Team (NSF Awards # ACI 1451018 and 0963053) participated in the Brazilian Symposium on Computer Networks and Distributed Systems (SBRC), an annual event promoted by Brazilian Computer Society (SBC) and the National Laboratory of Computer Networks (LARC). For more than three decades, SBRC has become the most important national scientific event on computer networks and distributed systems, and one of the most crowded in the computer science field. The 34th edition of this Symposium is held from May, 30th until June 3rd in Salvador, Bahia. The event coordination is under the conjunct responsibility of the Department of Computer Science of Federal University of Bahia (UFBA) and the Federal Institute of Bahia (IFBA). The event is composed of technical sessions, mini courses, panel discussions and debates, workshops, tools salon, speakers, tutorials presented by internationally renowned researchers. RNP Workshop (XVII Workshop of the National Network of Education and Research) will be held 30 and 31 May in conjunction with the SBRC 2016. 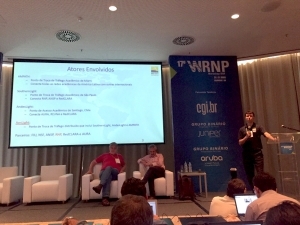 Promoted since 1999, the RNP Workshop (WRNP) aims to bring the public of the technological advances and main topics for discussion in the area of research and development of Information and Communication Technologies (ICT), both inside and outside Brazil. This year, the 17th edition of the event brings in its programming the key challenges in the implementation of 100 Gb / s networks, as well as presentations on applications of SDN (Software Defined Networking), video applications, testbeds, solutions for education environments distance, open data, among other topics.